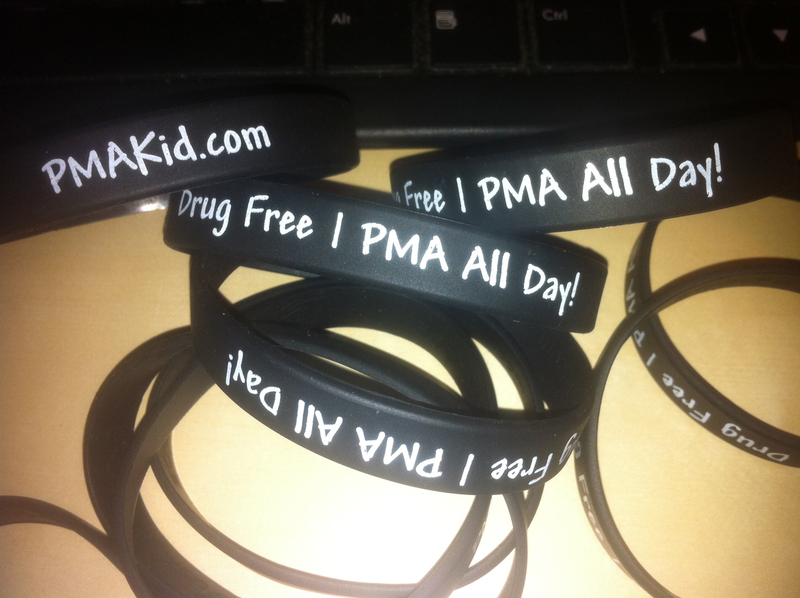 PMA Kid: PMA All Day Wristbands! I got these really cool wristbands that say "Drug Free | PMA All Day" on them for about $1.00 each. I am giving them to the people that I am interviewing for free, but I am also selling them pretty cheap! I only make about $1.00 each on them, so please buy a bunch of them so I can earn some spending money!!!!! Thanks!!! You can buy them at http://pmakid.bigcartel.com.